Linda Miller has taken several photos in June, 2018 with a Canon Sl2 50mm at 12,9 sec exposures and in one of the images she discovered a strange unusual object what is something that isn’t obvious a star, star movement or a rocket launch. 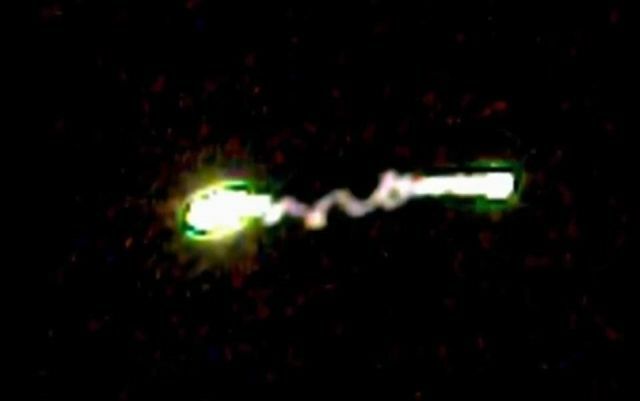 It is not clear what the phenomenon could be, but the image clearly shows a bright luminous UFO or portal-like object. Since the image has been captured at 12,9 sec exposures the object seems to move very slowly in the sky.